In November 2018, at the invitation of the United States Department of State, JAMS joined participants from more than a dozen countries at a two-day online dispute resolution (ODR) workshop in Osaka, Japan—the Workshop for Developing a Collaborative Framework for Online Dispute Resolution. The purpose of the workshop was to structure and implement effective ODR mechanisms in the Asia-Pacific region, the absence of which has been an impediment to cross-border, inter-regional trade. 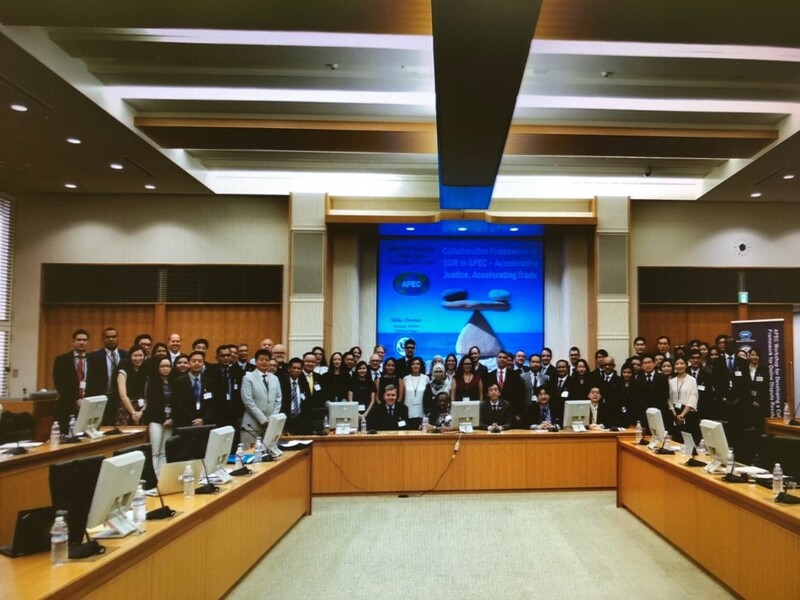 Sponsors of the workshop included Asia-Pacific Economic Cooperation (APEC), Japan International Dispute Resolution Center (JIDRC) and the State Department. APEC, a regional inter-governmental economic forum established in 1989 to leverage the growing interdependence of countries in the Asia-Pacific region, is working to address the concerns voiced by regional micro, small and medium-sized enterprises (MSMSEs) that the lack of effective dispute resolution mechanisms has become a barrier to cross-border trade. By bringing together governments, business leaders and ADR/ODR professionals, a collaborative framework is being constructed. One of the most encouraging things learned during the workshop was the shared interest in encouraging MSMEs to resolve disputes effectively. One of the biggest concerns for those organizations is remaining solvent pending the outcome of what could be lengthy court proceedings. ADR is an obvious solution, and being a major provider with experience in the United States and Europe is potentially extremely beneficial. The collaborative framework for the ODR process will include negotiation, mediation and arbitration. Attendees agreed that any protocol should be flexible enough so that it can adapt to the various economic and social influences that are prevalent in developing and established economies. To ensure participation, one suggestion was to have several large corporations take part in a pilot program, potentially through the assistance of APEC's Business Advisory Council (ABAC). Organizations are keen to establish the degree to which ADR can sustain business relationships in the context of a dispute. JAMS participated on two panels, with representatives from New Zealand, China, Japan, Russia, Singapore and the U.S., and focused on how to encourage discussion of the collaborative framework. Under the draft framework, a business may file a cross-border complaint online against a business in another participating economy. During the first phase of the procedure, the businesses may exchange information and proposals, and negotiate a binding settlement of their dispute, through electronic means (Negotiation Phase). If the parties cannot reach a binding agreement by amicable negotiations, the relevant ODR provider will appoint a qualified ODR neutral to mediate the dispute (and, if possible, reach a binding settlement agreement) (Mediation Phase) or to arbitrate the dispute (and issue a binding award) (Arbitration Phase). The ODR process, or portions of it, could be automated, subject to party agreement. The ODR framework is being designed to be inexpensive for MSMEs. It is also being structured so that partnering ODR providers are allowed flexibility of creation and management while still maintaining compliance with the framework. As the framework matures, JAMS will provide updates via this blog. For more information in the meantime, please contact Ranse Howell at rhowell@jamsadr.com. Ranse Howell is director of international operations at JAMS.